Do You Consider a Bad Kisser a Dealbreaker? How important is it to you that your potential partner be a good kisser? The ladies of “The Real” got to talking about the topic of sloppy smoochers on Friday’s show, and weighed in on whether a bad kisser means more or if the art of kissing is something that can be taught. When Tamera inquired how to teach someone to kiss well, Adrienne elaborated that the first time she kissed Israel he asked her if that was how she usually kissed. 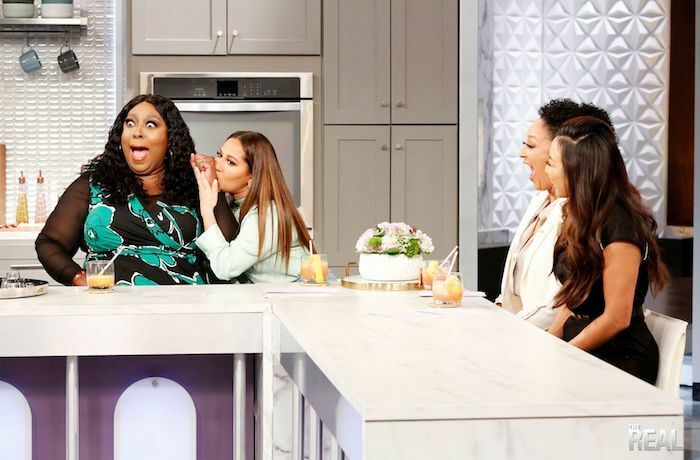 She even went on to use Loni’s hand for a kissing tutorial! Real fam, does your date have to be a good kisser, or are you willing to teach them?